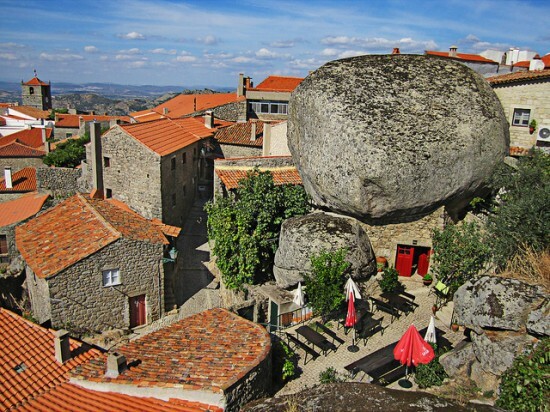 The charming town of Monsanto, an ancient settlement perched on the side of a mountain in the Portuguese countryside, boasts some of the most incredible sights on Earth. 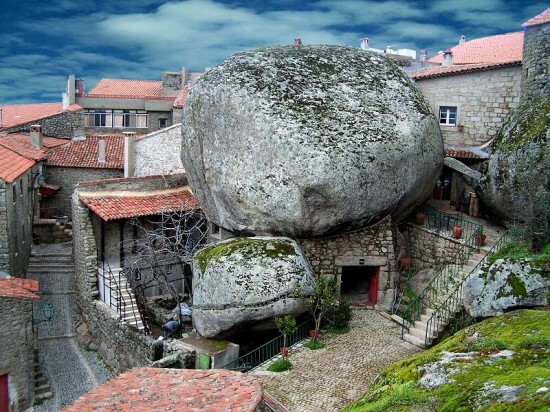 Featuring tiny streets carved from rock and granite houses squeezed between giant boulders, it looks like a real life Bedrock. 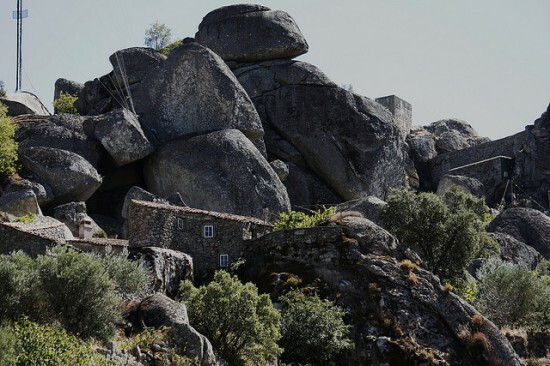 In 1938, Monsanto was named ‘the most Portuguese town in Portugal’ which seems strange, considering most buildings in Portugal aren’t sandwiched between two boulders, or have massive rocks hanging above them, but its awarded standing of open air museum, has allowed it to keep its outwardly appearance throughout the years. Due to building restrictions in the area, Monsanto’s appearance hasn’t changed in centuries and has managed to retain its original charm. 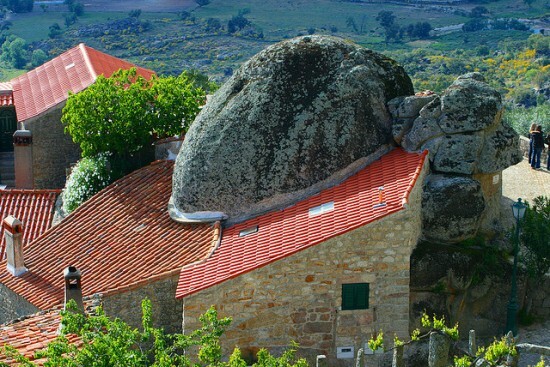 Although many of the buildings in Monsanto are unique to this place, like big boulders fitted with doors that lead into living quarters carved from sheer rock, the small town does feature some elements of Portuguese architecture, like the houses and church built in Manueline style, and others influenced by medieval Romanesque. 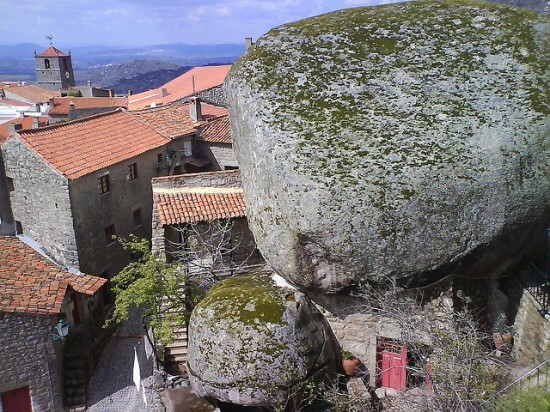 The narrow streets just wide enough for a donkey to walk through climb four hundred feet up a very steep hill, at the top of which lie the ruins of a Templar castle. Located only 12 kilometers from the municipality of Idaha-a-Nova and 160 kilometers from the Spanish city of Salamanca, reaching Monsanto by public transportation is very difficult. But considering the unique sights offered by this small town, it’s definitely worth the trouble getting there.